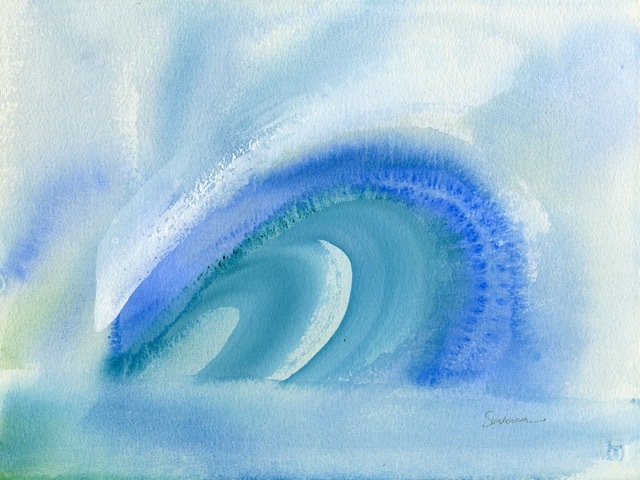 Surf movie posters, prints, surfing paintings, vintage surf photography. And so John’s planetary journey came to an end, peacefully and with apparent acceptance, but probably wishing for more of what he loved most: life. His life was full, and full-on, right from the start. As a Southern California kid who grew up at the beach and lived to surf, a conventional life was probably not in the cards. His academic career curved towards the arts and, finally, to Long Beach State, where he earned a Master’s degree (’56) in Art Education. 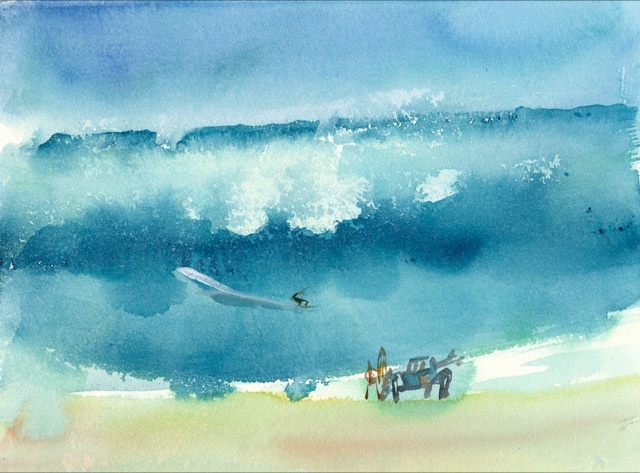 That was where, following the advice of a perceptive instructor, he began to paint the world he knew: the beach, surfers, and waves. 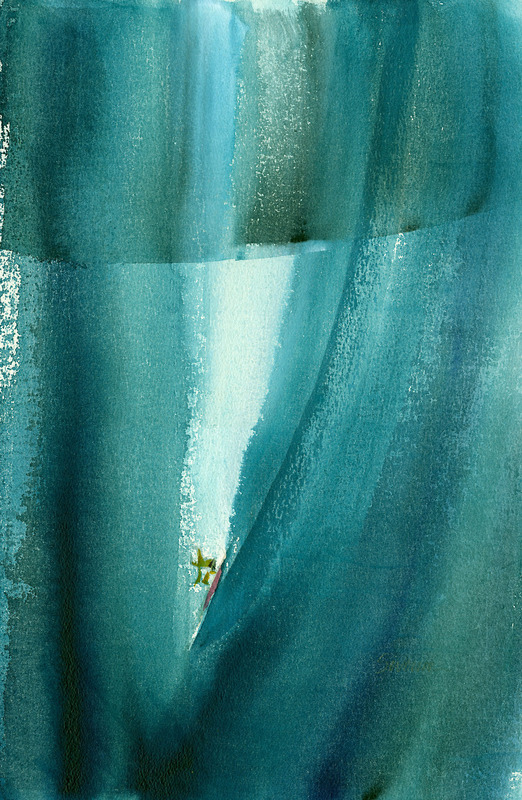 He found voice in a bold, bright, modern style that somehow seemed all his own. 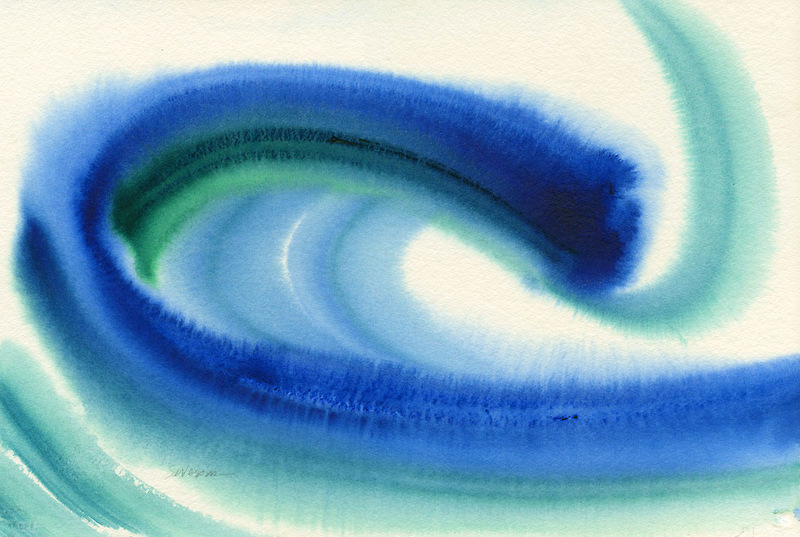 He embarked on a career as an art teacher. However, he was drafted into the U.S. Army in 1957. 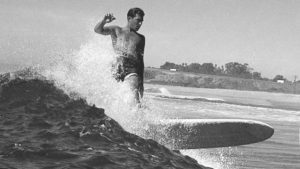 He was bound for Germany when an unexpected shift in assignment sent him instead to Oahu, the birthplace of surfing. 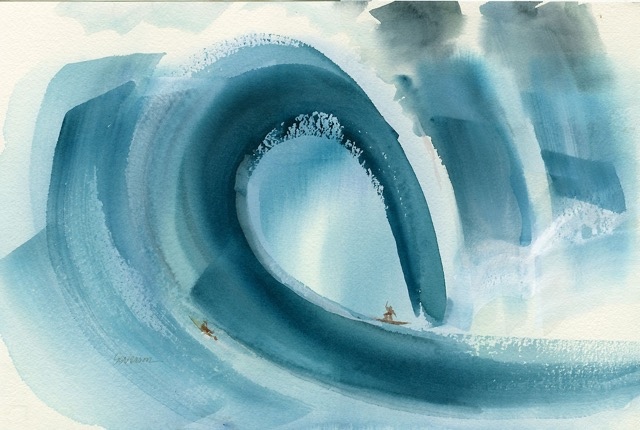 There, his mastery of pen and ink got him assigned to map-making, and his skills in the ocean put him on the U.S. Army surfing team. By the mid-1960s, John was at the helm of a successful business, with a full magazine staff and plenty of advertisers, plus two daughters and a home at the beach in a gated community at the southern end of Orange County. And then Richard Nixon bought the house next door. 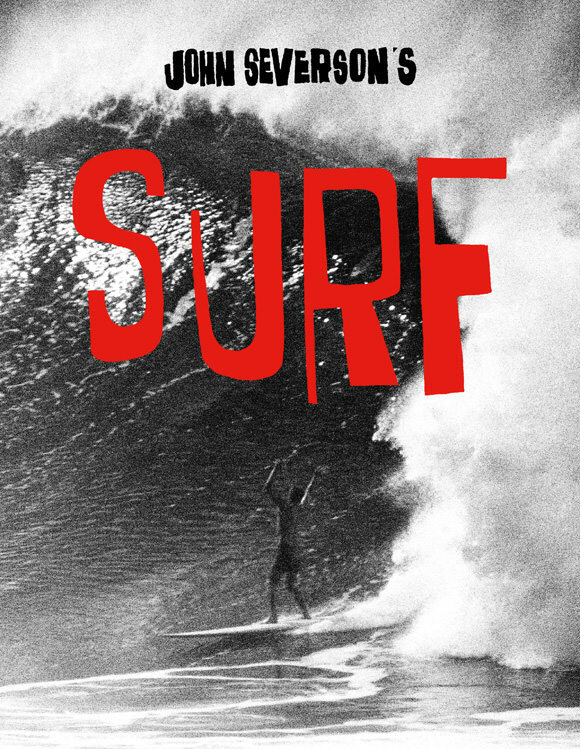 It was the peak of the national crisis precipitated by the Vietnam war and a counterculture that had been building since the fifties, back when those North Shore surfers were very much a part of a growing rebellion against conventional living & societal norms. So it made sense that, amidst this generational shift in consciousness, John’s life took a turn. He returned to his cameras and pulled together a team of polite revolutionaries to create the first environmental surf film, Pacific Vibrations, which soon made its way to the big screen as a Warner Bros. release. 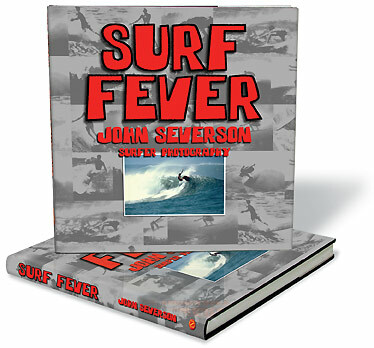 After that he sold Surfer Magazine and the house and bought land upcountry on Maui. He built a home, planted a garden, and set out with the family on a Swiss Family Robinson journey through the South Pacific before settling down, back on Maui, to build, garden, and paint. The word “transformation” would apply. 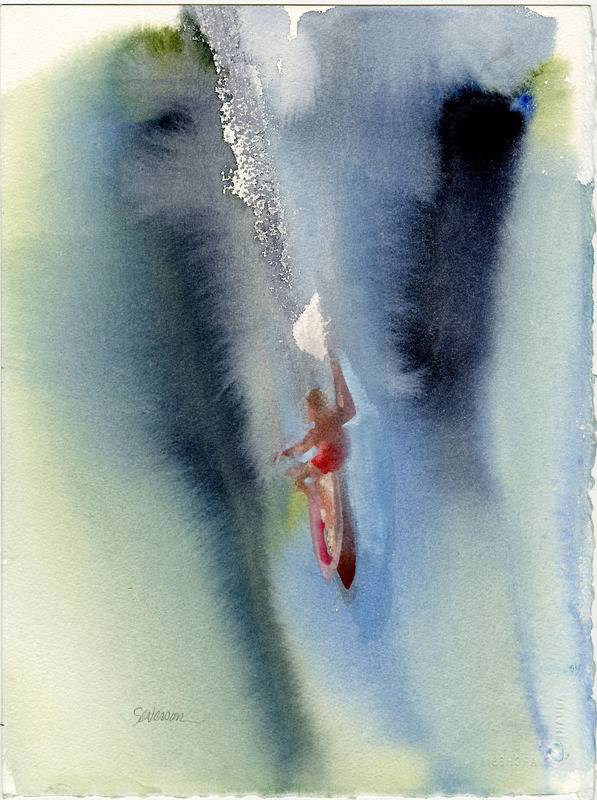 Back at Surfer, in 1969, John had titled a two-page spread of his paintings “Surf Art,” perhaps coining the term, and certainly defining his ongoing life path, which was always about creating a unique and engaging beauty. 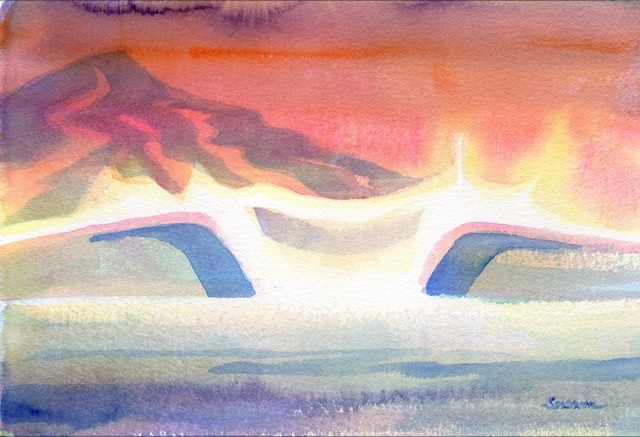 On Maui, in the seventies and eighties, he built his own homes, and those creations were every bit as imaginative and beautiful as the art works that began to issue from his studio. 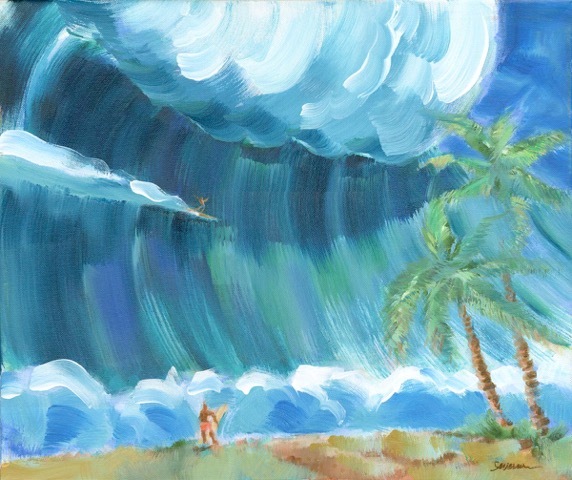 John’s paintings of island beauty, depicting the balance and drama of ocean waves and the thrill of surfing, remain as powerful testimony to the artistic vision and joy that was fundamental to everything he created. By following his own love of life, and expressing it in whatever media he put his heart and hands into, John became one of the most positive, affirmative, inspirational people of our lifetimes. 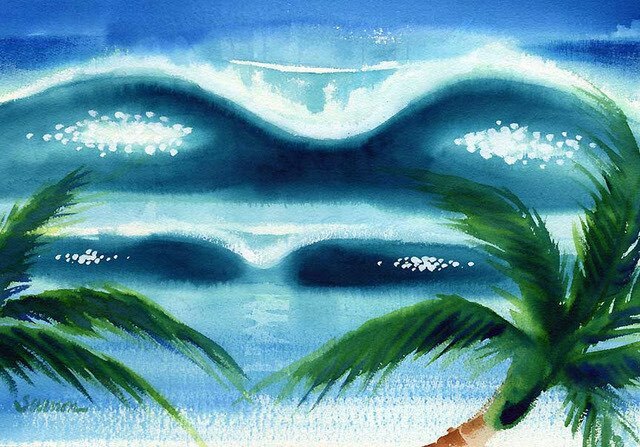 He felt, understood, and translated the magnificent power of ocean waves into food for all our souls. What a great gift to humanity! One of John’s greatest goals was to spread awareness about protecting the ocean and restoring its coral reefs. We all need to be aware of the toxic products that run off into our oceans. We can start by using “reef safe” sunscreen in the water, so we can revive the reefs that have been bleached by the chemicals in the creams we put on our skin. In addition to Louise and his daughters, Jenna and Anna, John leaves one brother, Joey, and his grand-daughters: Jenna’s children Alizé, Luna, Kea, Aleia, and Anna’s daughter Zoë (all girls!) to carry on the positive power. 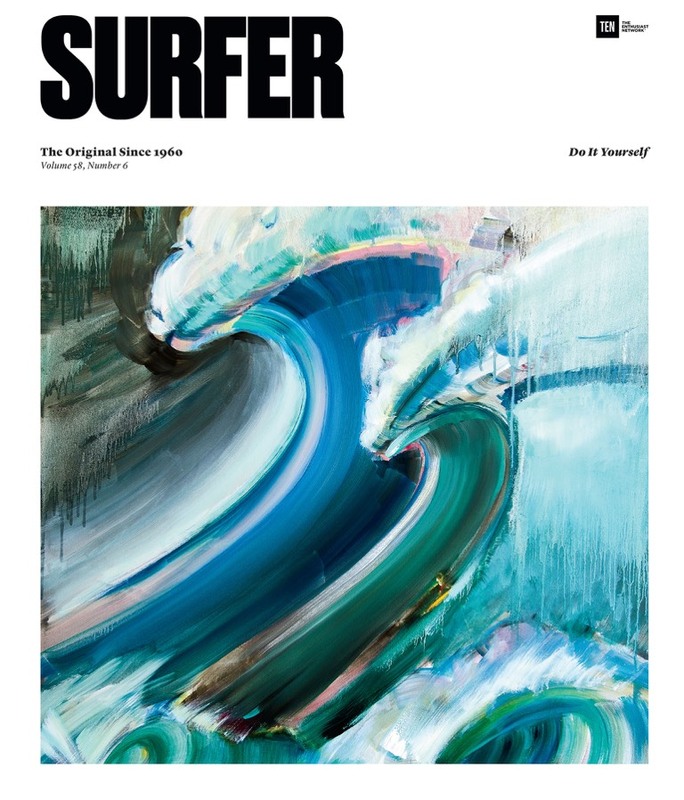 As featured on the cover of the October 2017 issue of Surfer Magazine.